Brown traditional belt with silver buckle. Indispensably beautiful and practical, this costume belt comes in brown. The wide and high-quality traditional costume belt not only keeps your trousers in the perfect position, but also emphasises your good taste. 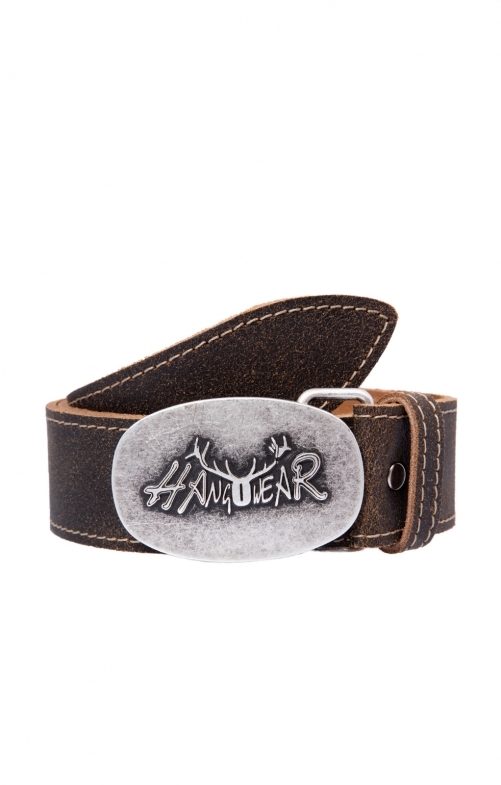 Stylishly embossed on the silver-coloured buckle is the company label Hangowear. The O with the deer antler is an absolute eye-catcher. Toll , anschmiegsam weiches Leder !